Here we are off the I-90, Exit 78 in Sioux Falls , SD to be exact, I can see the exit sign outside my hotel window. Today, after breakfast with our friend, Christopher, we headed to Pipestone National Monument and then on to Sioux Falls, South Dakota. 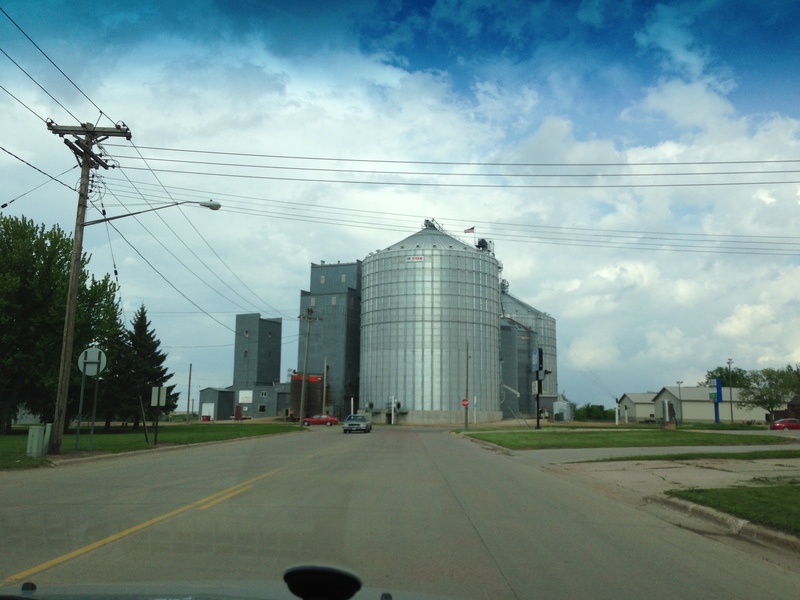 Because we were driving the backroads, we wound up in Walnut Grove. In Walnut Grove, is Plum Creek. What’s the big deal about Plum Creek? It’s where Laura Ingalls Wilder lived with her family in the little sod house on the Banks of Plum Creek. 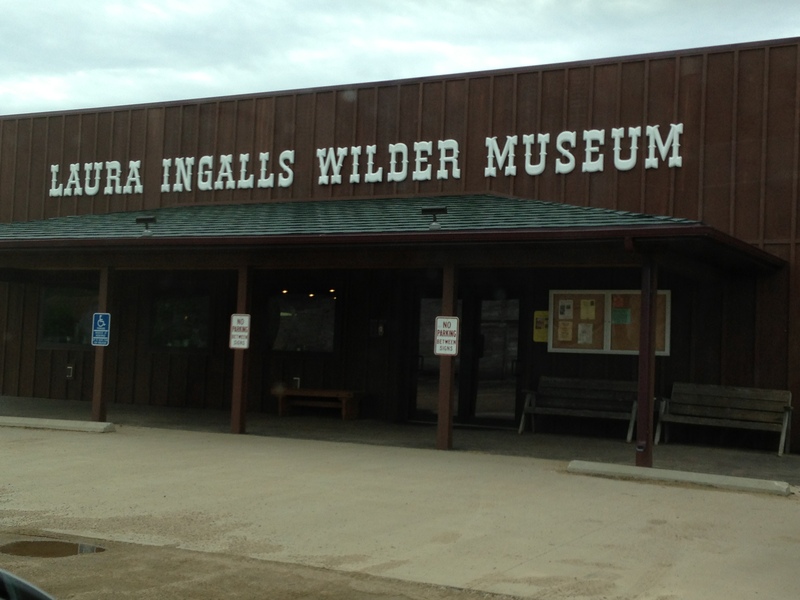 I grew up reading and loving Laura Ingalls Wilder books. And, no, PA did not look like Michal Landon. And, yes, the books are much better than the TV series. Of course we stopped. It was wonderful seeing things owned by Laura, cementing her stories in reality. 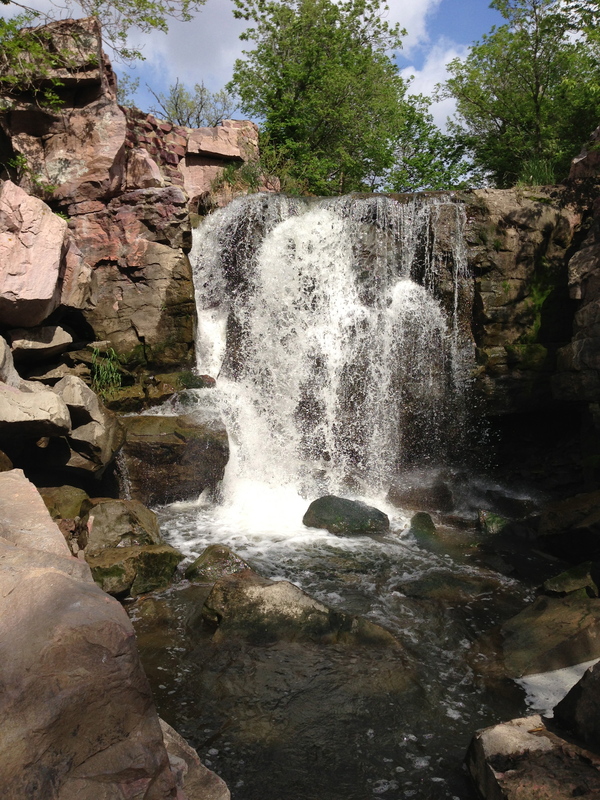 After visiting the museum, we journeyed onto Pipestone National Monument. 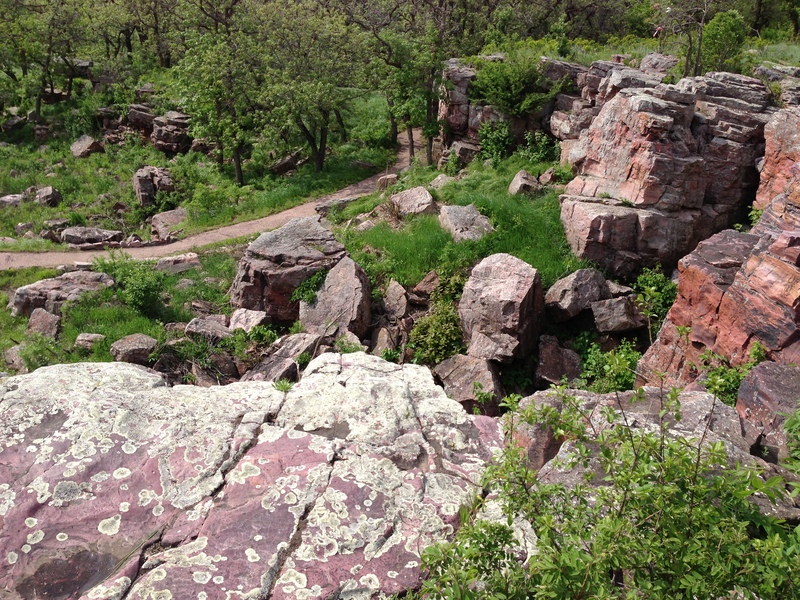 Pipestone is the home of the Native American quarry and sacred sight where tribes gathered in peace to mine the red stone that they carved for thousands of years into peace pipes. A sacred spot, indeed. Throughout the monument (as we also saw at Devil’s Tower) offerings and prayers in the form of strips of cloths or tiny bundles of tobacco can be seen. To the Native American, Pipestone is just as sacred as Devil’s Tower, but the energy is much different. To me, the powerful energy at Devil’s Tower is masculine in nature. I mean, look at the thing, will you? It’s a monolith jutting into the sky. And Pipestone? Oh-so-feminine, where the stone is dug in sacred gratitude from Mother Earth–dug by hand with hammer and chisel, taking what is needed to create a sacred pipe of peace. The peace pipe to the Native American is like the Bible and the Cross to the Christian. It is smoked in prayer and the smoke takes those prayers to the heavens. As I walked among the quarries, I felt such peace. I felt humbled and honored to be there because I felt welcomed and accepted. 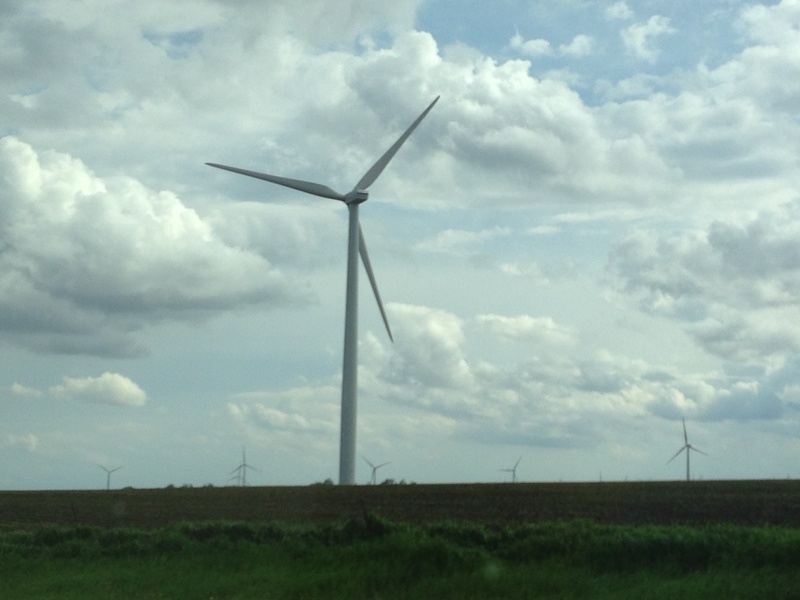 Tomorrow, we are continuing our mosey across South Dakota to Rapid City. I wonder what the backroads in the Prairies will show us. 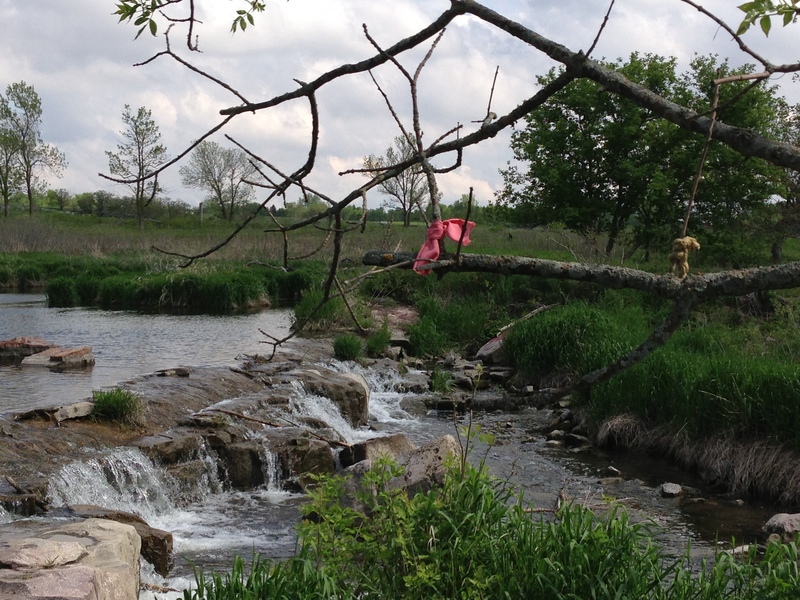 Previous Previous post: Friday, May 24- From Two Inlets Resort to Ely, Mn. 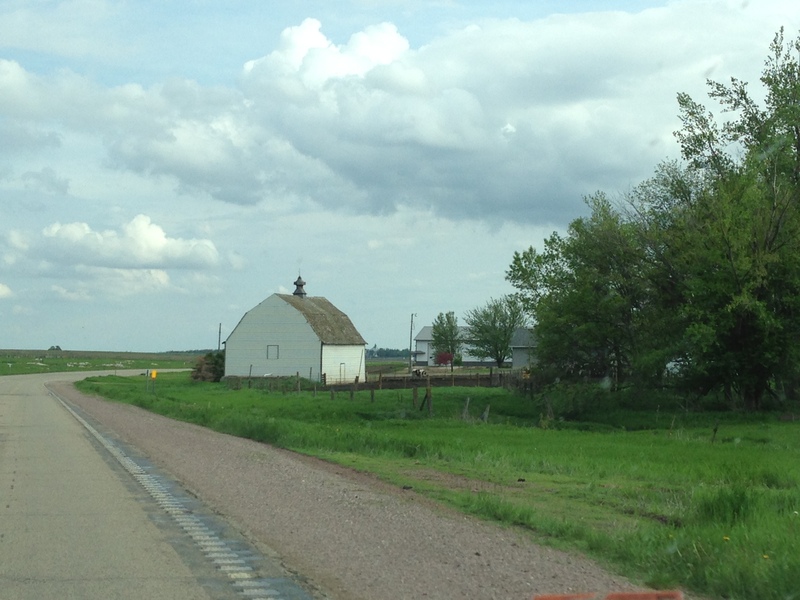 Next Next post: Crossing South Dakota….again….